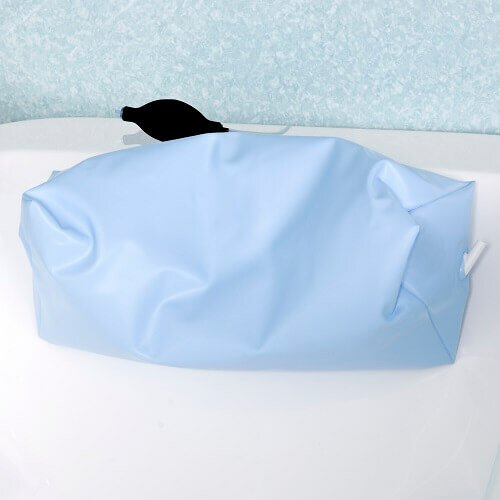 Astor-Bannerman manufacture a range of padded cushions which can be used in any standard or specialist bath and our head cushions help to make bath time a little more comfortable and give more support to the bather. These head supports are available in two shapes, half-moon (HS25) or triangle (THS20) and are made from a waterproof vinyl material filled with small polystyrene beads. 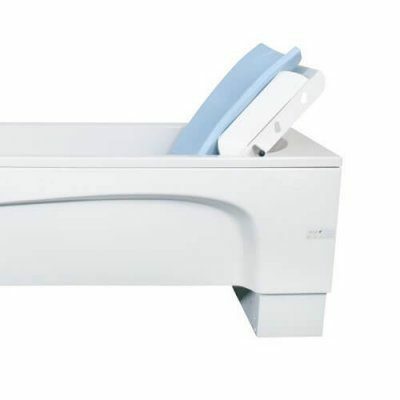 Both are easily secured to the bath with waterproof suckers, with a hand vacuum pump attached which is used to remove the air creating a firm, flexible and comfortable support for optimum stability. 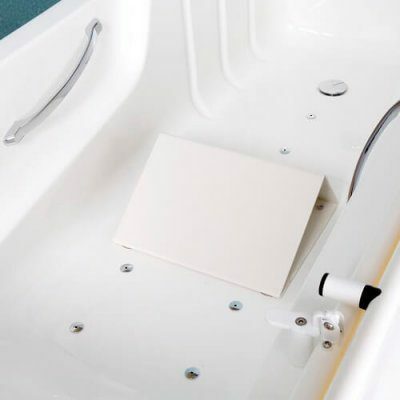 At Astor-Bannerman, we manufacture a range of padded cushions which can be used in any standard or specialist bath and our head cushions help to make bath time a little more comfortable and give precise positioning and comfort to the bather. These head cushion supports are available in two shapes, half-moon (HS25) or triangle (THS20) and are made from a waterproof vinyl material filled with small polystyrene beads. 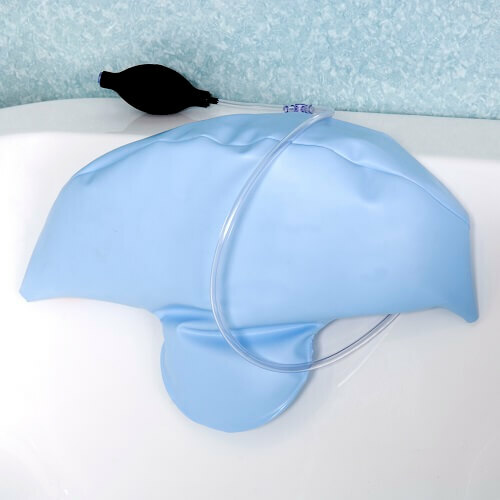 Both head cushions are easily secured to the bath with waterproof suckers, and each has a hand vacuum pump attached which, once the bather is in position, is used to remove the air creating a firm, flexible and comfortable support for optimum stability. 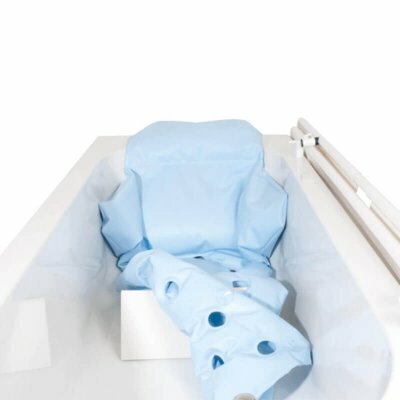 As with our full body support cushions, every head cushion comes with a warranty document and user guide with comprehensive instructions to follow to maintain the cushion lifespan. We can also offer these cushions to Occupational Therapists on a sale or return basis are also happy to demonstrate these to you at no extra cost. All of this is our standard Astor-Bannerman offering which sets us apart from other suppliers.